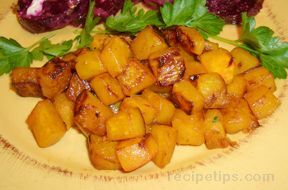 Cook squash with garlic and salt till tender. Cook bacon. Cook leek in butter. 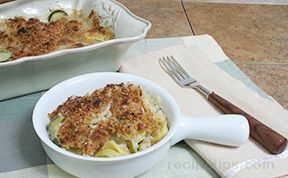 Mash squash, add leek, crumbled bacon, sour cream, salt and pepper. Butter 10" round baking dish. 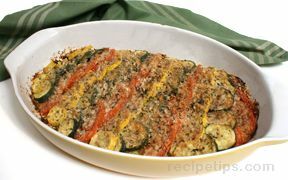 Spread squash and sprinkle with cheese. Cover with foil, shiny side down, bake @ 350 degrees for 30 minutes. Remove foil and bake another 10 minutes. Melt the cheese. Serves 5-6.